George Washington is central to understanding America's founding. He was the crucial figure in winning the American Revolution, in creating the Constitution, and in establishing the precedents for effective self-government as our first President. 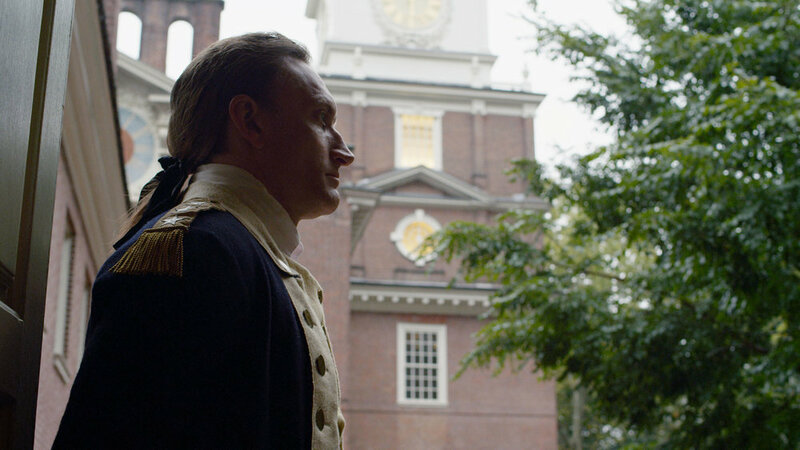 The First American was shot on location at location at George Washington's Mount Vernon, at Independence Hall in Philadelphia, in Washington D.C. and at historic estates on the James River in Virginia. Winner, Telly Award, Documentary. Produced by Kevin Knoblock, Donna Lusitana, and Vince Haley. Written and Directed by Kevin Knoblock. Pope John Paul II's historic nine-day pilgrimage to Poland in June of 1979 created a revolution of conscience that transformed Poland and fundamentally reshaped the spiritual and political landscape of the 20th Century. Nine Days That Changed the World explores what transpired during these nine days that moved the Polish people to renew their hearts, reclaim their courage, and free themselves from the shackles of Communism. Millions of Poles, almost one third of the nation, turned out to see the Holy Father in person, while the rest of the country followed his pilgrimage on television and radio. Within sixteen months, Solidarity became the first officially recognized free trade union in the Communist bloc, with over 10 million members. The momentum of this dramatic nine-day visit would eventually lead to the fall of the Berlin Wall in November of 1989 and the dissolution of the Soviet Union in 1991. Featuring exclusive interviews with George Weigel, Michael Novak, John O'Sullivan, Jerzy Kluger, Fr. Adam Boniecki, Fr. Thomas Williams, Fr. Wojciech Giertych, President Lech Walesa, President Vaclav Havel, and Former CIA Director James Woolsey. Shot on location in Rome, Warsaw, Krakow, Częstochowa, and Prague. Written, Produced and Directed by Kevin Knoblock. America at Risk explores the dangers facing America, one decade after the attacks on 9/11. Written, Produced and Directed by Kevin Knoblock.